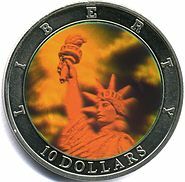 Punch-marked coins are a type of early coinage of India, dating to between about the 6th and 2nd centuries BC. It was of irregular shape. 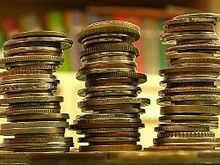 The Post-Mauryan coinage of Gandhara refers to the period of coinage production in Gandhara, following the breakup of the Maurya Empire. 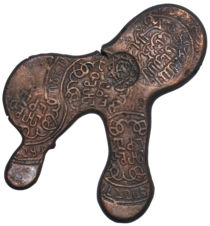 When Mauryan central power disappeared, several small independent entities were formed, which started to strike their own coins, defining a period of Post-Mauryan coinage that ends with the rise of the Gupta Empire in the 4th century CE. 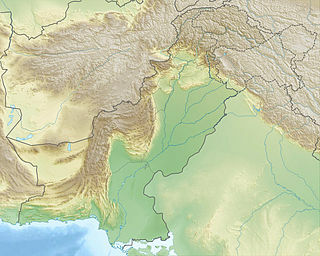 This phenomenon was particularly precocious and significant in the area of Gandhara in the northwest, and more particularly in the city of Taxila, in modern-day Pakistan. 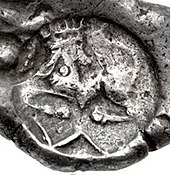 The Kabul hoard, also called the Chaman Hazouri, Chaman Hazouri or Tchamani-i Hazouri hoard, is a coin hoard discovered in the vicinity of Kabul, Afghanistan. 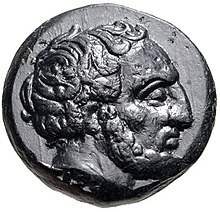 The hoard, discovered in 1933, contained numerous Achaemenid coins as well as many Greek coins from the 5th and 4th centuries BCE. 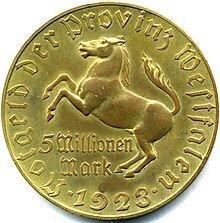 Approximately one thousand coins were counted in the hoard. 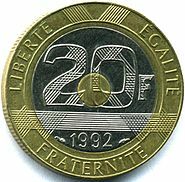 The deposit of the hoard is dated to approximately 380 BCE, as this is the probable date of the least ancient datable coin found in the hoard. 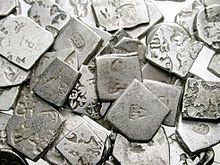 The Shaikhan Dheri hoard is a small coin hoard that was discovered in 2007 at the site of ancient Pushkalavati in Ancient India, modern-day Pakistan. 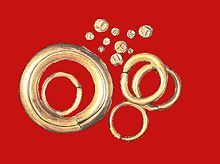 The hoard weighed 14 kilograms, contained "bent bars" as well as round coins "of a new type" as those discovered in the Kabul hoard. 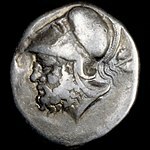 The hoard contained a tetradrachm minted in Athens circa 500/490-485/0 BCE, or possibly as early as 520 BCE, together with a number of local types as well as silver cast ingots. 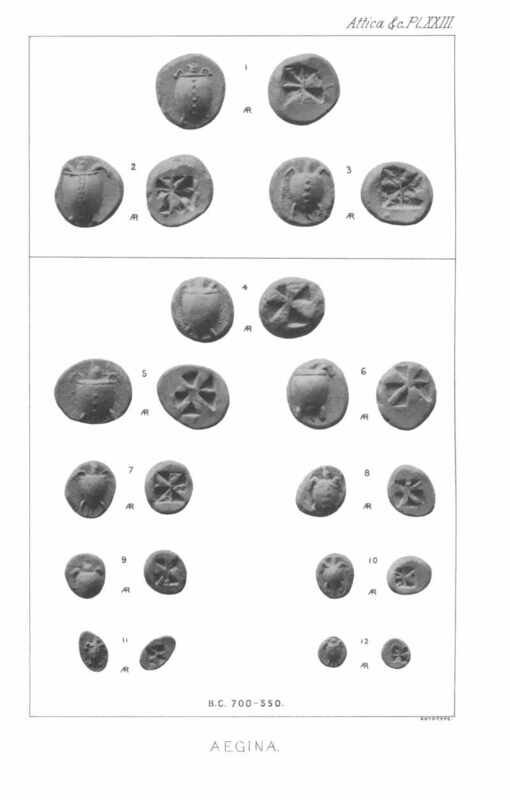 The Athens coin is the earliest known example of its type to be found so far to the east. 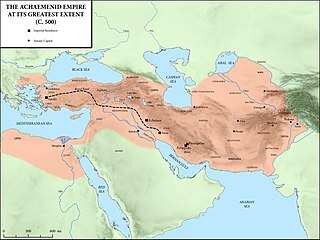 This hoard exists in the context of the Achaemenid conquest of the Indus Valley. It can also be related to another famous hoard in the region, the Kabul hoard. 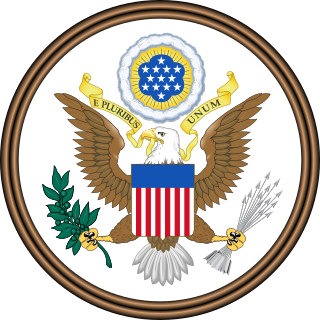 The Croeseid, anciently Kroiseioi stateres, was a type of coin, either in gold or silver, which was minted in Sardis by the king of Lydia Croesus from around 550 BCE. 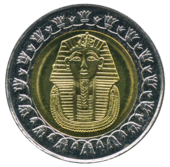 Croesus is credited with issuing the first true gold coins with a standardised purity for general circulation, and the world's first bimetallic monetary system.